As powerful as search engines are A Guide to Google Tools: Tips and Tricks You Can't Live Without A Guide to Google Tools: Tips and Tricks You Can't Live Without Find tips, tricks, and hacks that'll help you make better use of Google tools you already use. The guide covers five main Google Services. Read More , they come with some drawbacks. With today’s children using the Internet at earlier ages than ever before, they’re bound to stumble upon inappropriate content online sooner or later. To help with this issue, there have been several kid-oriented search engines 10 Search Engines For Kids That Help Out Parents With Safe Browsing 10 Search Engines For Kids That Help Out Parents With Safe Browsing Read More , but their results have been mixed. Now, there’s a new search engine on the block designed just for kids. It’s called Kiddle and it’s a custom Google search engine to help kids get relevant and easy-to-understand info without exposing them to explicit sites. Note that this site is not created by or related to Google in any way, as some have reported. Kiddle’s About page explains its workings — SafeSearch is applied to all searches, blocking a large amount of explicit material. However, it goes further by ordering its search results based on how friendly they are for kids. The first 1-3 results are pages written specifically for children, reviewed by Kiddle editors. The next several results are safe sites that contain simple content that kids can understand, even if it’s not meant for them. The rest of the results are famous sites that aren’t written for kids at all, and may contain content that’s hard for them to grasp, but they will all be filtered and safe. Aside from this, most results on Kiddle contain big thumbails to help kids figure out what a page is about (since they don’t read as well or fast as adults), and privacy is protected since the logs are deleted every 24 hours. Finally, if you try to search for a blocked word (such as “naked” or “death”), Kiddle asks you to try again due to bad words. Nothing can replace proper parental supervision, but Kiddle is a great way to help keep kids safe online Keeping Children Safe In An Online World: 8 Ways To Set Up Kid-Friendly Search Keeping Children Safe In An Online World: 8 Ways To Set Up Kid-Friendly Search The Internet can be a dirty place and you have to take steps to stay safe online, but it can also be a wonderful world where kids can let their creativity and imagination run free.... Read More . What do you think of Kiddle’s approach to child-friendly search? 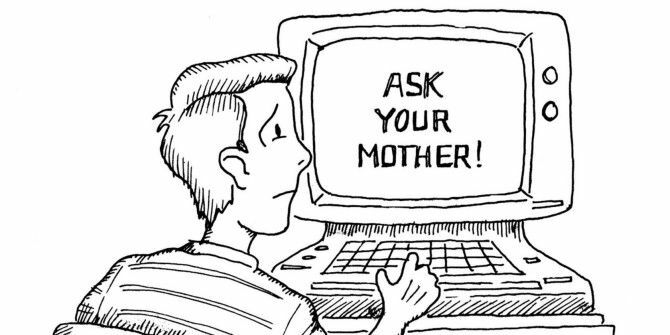 If you’ve got any tips on keeping kids safe online, we’d love to hear them! The Match.com ad to the right of my search results didn't reassure me that Kiddle would be a good choice for my kids. Ah, that's a shame. I didn't see any of those ads when I was looking around the site, or else I would have noted it. Unfortunately, I guess ads are pretty inescapable on the Web these days. Kiddle is not kid friendly after all. It does filter quite a lot of possible explicit results, but this is a pretty simple way around things. Hopefully over time, this will improve.